Some time ago I had a request from the Magazine Barcelona Metropolitan about using some photos I had from 3 Cathar castles in the Catalan part of Languedoc-Rousillon in South of France. After settling the payment they was granted use of the photos for their printed Magazine in October 2006. And of course also to include a photo (left) at their webpage. 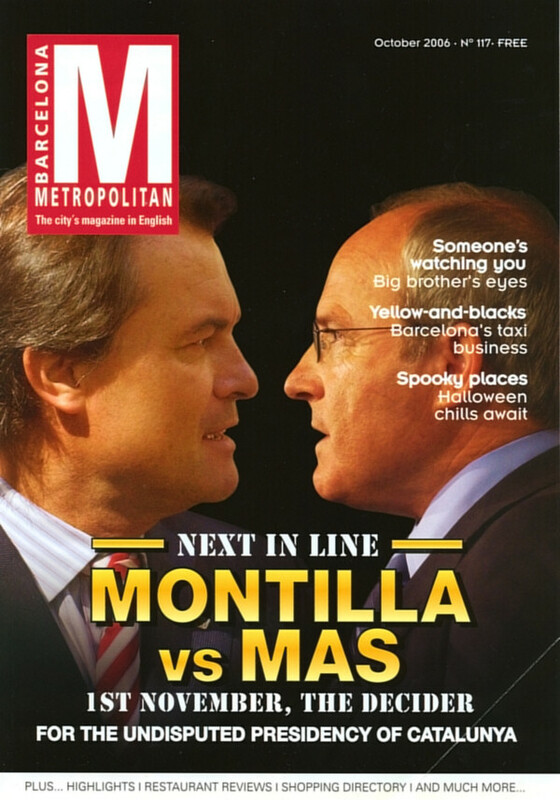 Barcelona Metropolitan is published by Creative Media Group Creative Media Group was established to help English-speaking foreigners living in Barcelona and Catalunya through quality publications designed to inform and entertain. Barcelona Metropolitan has been serving the city's foreign population since June, 1996. A free, monthly magazine, it offers articles on all aspects of local culture, as well as restaurant reviews, travel section and an extensive Listings.